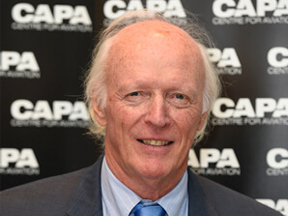 India is only the ninth largest country market outside Europe for international airline seats from Europe in 2018, reports a study by CAPA – Centre for Aviation. However, if North Africa and the Middle East are excluded, India is Europe’s number four long haul market, behind only the US, China and Canada. 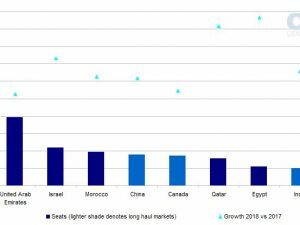 Among these leading long haul markets, Europe-India seat numbers grew fastest in 2018 versus 2017, with an increase of 12.9 per cent compared with 6.7% for the US, 10.9% for China and 7.3% for Canada. 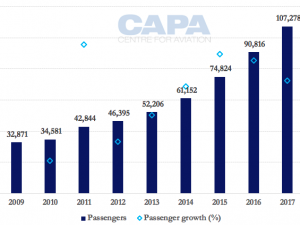 The annual seat capacity from Europe to India has enjoyed strong growth in each of the past two years, increasing by 9.4% in 2017 and 12.9% in 2018. The total number of seats (one way) in this market reached 5.0 million in 2018 (compared with 45 million for Europe-US) – a 30% increase from the low point of 3.8 million in 2013.